Ensuring your flexibility with stretching is crucial to the health of your body. It is well known that those who are statistically less likely to suffer a debilitating injury to their body, although it does not completely remove the risks of injury. Taking the time to stretch every day can go a long way to ensuring that you continue to be flexibility. Many of us may have learned how to do general stretches through middle and high school, but there are still more to learn. Not only were these stretches part of the basics, research is now showing more comprehensive ways to stretch our bodies and improve flexibility. Static Stretches – This includes the longer holding stretches that many of us have found boring in our past. 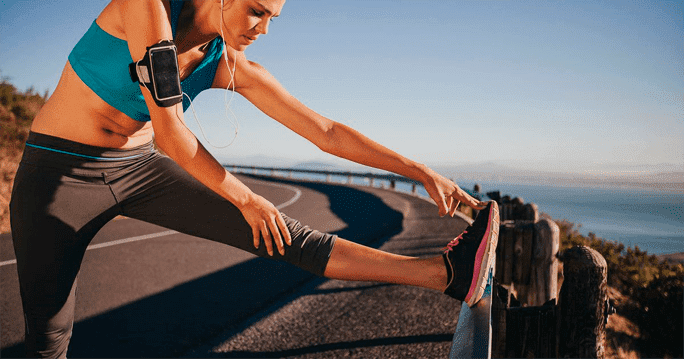 They are frequently held for a longer period of time and repeated multiple times, tending to burn a lot more for those who are not flexible and have actually slowly be phased out in favor of other pre-workout stretching routines that are more dynamic. Dynamic Stretches – Dynamic stretches are those that involve more controlled motions that will increase gradually so that you are reaching further and quicker. These can include pendulum stretches for those who run as well as the twisting stretches that golfers are known for. They don’t take much time to complete and tend to replicate the motion that you will be doing after the warm-up. Both of these stretches have their place depending on the activity that you are planning on completely, but all research states that you should stretch before you are physically active. Most research also points to holding a stretch for around thirty seconds to help you to feel more stretched out while ensuring that you will be flexible. For the best possible result, you should always focus on stretching problem areas of your body first. For those who are suffering from a pain on one side, it is important to remember that it is the opposite side of your body that needs a good stretch. For instance, if you have shin splints, you need to stretch out your calves before you begin running or as a part of your cool-down. • Everyone is built slightly differently, and we are not all super flexible. This means that if you cannot touch your toes there is nothing to worry about. Continue to stretch anyways because your body will appreciate it. • Stretch both sides equally so that you can stay balanced. Symmetry is important when it comes to doing good stretches. • Avoid overstretching pulled muscles. Sometimes after you have worked out too much or have pulled a muscle, it seems as though it would feel good to stretch out that muscle; however, it can do far more harm than good. When you have pulled something or worked out too much, you should do a light stretching routine and then give your muscles a solid break so that you don’t overexert yourself. • If you are in pain two days after a workout, it is important to take a rest day but that doesn’t mean that you should skip your stretching. Choose a gentle stretching routine for rest days to ensure that you stay limber and increase your overall flexibility. • If you have injured yourself while working out or pulled a muscle during stretching, it is important to contact a physical therapist. Your body is in a delicate balance and physical therapy can ensure that your body continues to serve you well. The bottom line is that stretching is an important tool of a well-functioning body regardless of your age or your overall fitness level. It will help you to increase your activity level while making you feel better before and after you complete a challenging workout. Additionally, it will greatly decrease the chances that you will suffer a sports or fitness related injury as you work towards the body that you have always wanted.